Money is a precious commodity; a commodity that I like, use, and know a lot about. As valuable as money is, it’s not the most precious commodity available to us. Many of us, myself included, spend countless hours writing and discussing money. Money has its place, but far more important, in my humble opinion, are time and the people I love. I learned just how precious time and loved ones are on November 10, 2008. My wife and I were enjoying the fruits of parenthood with our 15 month-old daughter. When we found out that we were pregnant again we were filled with joy; would she have a brother, or would I have two future weddings to put money aside for? We went in for our typical 20 week ultrasound on August 27th assuming everything would be normal. We had decided to be surprised with our daughter, but wanted to find out the gender this time. About 20 minutes into the ultrasound the tech informed us that we would be having a boy! We were thrilled beyond belief, we were going to have one of each, how much more perfect does life get? Well, the 20 minutes turned into 40 minutes and then into an hour. Remembering back to our daughter I knew that the ultrasound should only take about 30 minutes. After an hour or so the tech got up and announced that she had to “go get the doctor.” Ok, why do you have to do that? That wasn’t the case on the ultrasound with our daughter. This is when our lives came to a screeching halt. The doctor came in and informed us that there was something seriously wrong with our little one and he wanted to do an amniocentesis to confirm his thoughts. What we thought was going to be a normal day soon became one of the worst in my memory. Long story short, the procedure confirmed that our little one, had a genetic disorder known as Trisomy 18. What makes fetuses with Trisomy 18 special is that they have a third copy of chromosome 18 as opposed to the normal two copies you and I have. This can cause a laundry list of problems for the baby and we were told that if my wife carried him to term there would be only a very, very small chance that he’d survive past a few months, if not weeks and would more than likely require specialized care. This news rocked our worlds, to put it lightly, and I wondered how all of this would change our lives. My wife carried Isaac for 11 more weeks and then the unimaginable happened. My wife woke me up early in the morning of November 10th to inform me that something was not right. Within minutes of her waking me up her water broke and things were moving FAST. After a call to 911 we were on our way to the hospital. The timing was perfect in that as my wife was being rolled into our hospital room, Isaac was born. Most parents will tell you that the birth of a little one is a joyous event, and Isaac’s was, but there was also a fearful unknown in that we did not know what to expect. The joy and fear soon turned into sadness. Isaac’s life spanned a total of 4 minutes. I remember every second of it and the day that ensued. The hospital was kind enough to allow us to spend the morning and afternoon with him and had a wonderful friend bring us our daughter and take some beautiful pictures. I remember leaving the hospital that night. It was cold, dark and dreary, just as it was when we got there. Our hearts were heavy and we went home as a small family huddled together and loving each other through this storm. What became tangible to me that day was that time and those I love are the most important things to me on this earth. No matter how little or how much money we have, that pales in comparison to the short amount of time we have together. We were soon having to deal with how we wanted to say goodbye to our precious Isaac and after some thought, it was obvious. We had decided to have his body cremated and then dealt with how to proceed with his ashes. Being as that my wife was born and raised in San Diego, there were many beautiful spots that are special to her. The following Memorial Day we were able to go see her parents in San Diego and after much thought scattered Isaac’s ashes at sea at the Torrey Pines State Reserve. It was a perfect day and as we scattered his ashes we saw a huge school of dolphins jumping through the water. It is an image that I will take with me for the rest of my days. You may be asking why I share this. (Thank you for sticking around, by the way, to read this 900+ word post.) I share it because we just celebrated Isaac’s fourth birthday on Saturday and he’s heavy on my heart. As I write this I have tears running down my face as the memories rush back. I also share it because what many of us fail to mention, myself included, is that time is limited. We don’t know how much we have. We’re only guaranteed today, after that only God knows. We can almost always get money through a variety of ways when we need it, but we can’t get more time. This belief motivates me to appreciate each day for what it is and love those that mean the most to me. We can’t get today back. Once it’s done, it’s gone. My challenge to you is to look at how you view time. How are you managing it? How are you using it to benefit those around you? If you knew today was your last, how would you spend it? Who would you spend it with? If you have the time, please watch this video a dear friend of ours made to show at Isaac’s memorial service. We’re so thankful to have things like this to help us remember him. What a moving post John… you seriously touched me. I am dreadfully sorry to hear about Isaac. The little soul will undoubtedly live on through the rest of your family and keep you close with a special bond. Not a problem. I would do the same exact thing, spend time with those who’re most important to me. Thank you John for writing this article. Thank you for letting us in on such a personal journey. John, this is a very moving story. When you said on Friday you were planning a similar post that focuses on how some things are more important than money, I could have never imagined this story. That was a beautiful video your friend made, what a tribute to Isaac! I can’t imagine going through what your family has. This story really challenges priorities in life and focusing on the things that are important. Thanks DC. We love the video as well. She’s actually a professional photographer and was there for hours taking many, many pictures for us. I thought I had things prioritized rightly before Isaac, but something like this really challenges how you look at things. Thank you for sharing this, I know it wasn’t easy. I hope it helps you and your family in the continued healing process. Life is too short. Not a problem Catherine. It actually is helpful to be able to share it. Life is too short, as you said, it’s taught us to get as much as we can out of it. Hi John, As i’m sure you are aware, we are expecting our first child in January and I cannot even begin to fathom how you must have felt at that point in your life. I have no idea how I would react if something similar unfolded in the coming weeks to us. I don’t know if this is any consolation, but this post has really made me appreciate how lucky my wife and I are to be having a child at all. It makes you appreciate just how precious life can be and how quickly your world can be turned upside down. Your tribute video was lovely and brought more than 1 tear to my eyes. I’m really sorry for your loss, and I appreciate you sharing such a personal part of your life with us. Yes, I do Glen and am happy for you and your wife. Children make life so sweet and so much more enjoyable…treasure it! It does make you appreciate how precious life is and that it can change in a second. What a beautiful video and moving post. Your friend is very gifted. I love the sentence “there is no foot too small that it can’t leave an imprint on the world”, and the photo is perfect too. I am so sorry you had to go through that. Losing a parent is hard, but most of us will, losing a kid has to be most unnatural pain ever. Fortunately is seems to have brought your family closer, and made it stronger. I think about limited time all the time. I used to be obsessed with not rotting in an office any longer and start enjoying life, even with smaller means, there was no was I was working like crazy until 65. I also think about it when I see family members. My grandparents are getting old, I want to enjoy time with them, my little niece is so sweet, I want to watch her grow (not too fast, teenage years are not the best! )… and there is no amount of money I could put on that. If it was my last day, I would stay where I am, and call everyone that matters to thank them. Tell them I wish them a lot of happiness. Then spend a normal day with my friends here, have a great meal and thank life for the ride. Thanks Pauline. We have a big framed photo of that exact shot in our living room. It’s so true and reminds us of how precious life is. I agree, there’s no price tag that can be put on spending time with family, friends and those you love. Life is just too short to not enjoy all you can with them. How hard this must have been to share. Thank you. Not a problem Marie. Glad to do so. Thanks Holly. Sometimes it’s not possible to come up with words. I can see the dolphins, John. Thank you for sharing this intimate part of your family with us. Lexi and I watched Isaac’s beautiful remembrance video together. Know that each tear is a note of love raising to the heavens. John, I don’t have an appropriate comment. We all should live as today is the last day. Thanks for sharing and remindind us. I totally agree Kim. I think it helps us appreciate the days we have. John, there aren’t words to convey my sympathy for you. I’m typing through tears. I know we’ve never met but as a parent I know the rush of emotion when a child enters the world and your life. I can’t imagine the sorrow of having that taken away. My deepest condolences. Thanks Mandy. It really is the most difficult thing I’ve ever been through, but that makes us so thankful for the healthy children we’ve been blessed with. Not a problem Mr. CBB. Once you have kids, you do get such a greater appreciation for the preciousness of life. I am crying for the loss of your beautiful little boy. God bless you all on his birthday. Thank you Cathy and thank you so much for stopping by! Wow. I can’t imagine going through an ordeal like that. I’ll admit I’m not the best at time management. But when it comes to quality time, I’m okay with simply being WITH someone; it doesn’t really matter what we are doing. I am pretty much the same way Edwards. Spending time together with those that mean the most to you really is the way to go, regardless of what’s being done. I am so so sorry. Will be thinking about you and your family. John – wow, I’m tearing up. I am so sorry you had to go through that – I can’t imagine anything more painful. There really isn’t Cat, well at least anything I’ve experienced. I just found your website last Friday, Nov 9th and signed up to receive your blog via e-mail. My birthday was Saturday, Nov. 10 and I shared a joyous, happy day with my husband. Today, Nov 12, I received and read my first e-mail from you. I read this first blogpost and watched your video of Isaac’s short, sweet life. I expected a post about money and/or finance, but instead got a post about life, love, birth, hope, death, time and gratitude. I am filled with gratitude for all I have been given in this life and I am honored to share Isaac’s birthday. As I celebrate each coming Nov. 10th, I will always keep Isaac and your family in my heart and share my celebrations with him. Thank you for sharing this beautiful tribute and remembrance of your son’s life. First off, Happy Birthday Pat! Thank you also for stopping by and subscribing. I do generally talk about things related to investing, finance, and living frugally, but today’s post was something I wanted to share. Thank you so much for your kind words. My wife’s birthday is on Wednesday, so this whole week is a bit bittersweet for us. But, it also reminds us each year of how much we’ve been blessed. Wow. I am almost in tears here at work. Having lost a child as well, I know the heartbreak, though ours was never birthed. My deepest sympathy and prayers go out to you and your family. What a beautiful child! Sorry to hear of your loss Jacob, and thanks for your kind words. I think the heartbreak is the same, regardless if the child is birthed or not as you’re still losing a child. I can’t find the right words at this moment, but want to say thank you for sharing such personal experience. I can’t even begin imagining what that must have felt like to go through that. The fact that you even share this with us is amazing, as I think it is really important to think about the things you mention. We all get carried away with things that sometimes just doesn’t matter. My most sincere sympathies for you and your wife. Not a problem Veronica. I debated sharing it or not, but I just had to in the end as it really communicates about what’s important in life. Money is great and all, but time is the most precious asset we have. Well, I’m usually not at a loss for words but in this instance I certainly am. I couldn’t imagine the quick change from joy to sorrow in a matter of moments…or the sadness that ensued. The reality is that time is truly limited and ticking down every second of the day. It’s always important to remember this and arrange our priorities accordingly. Thanks for sharing your story, John. Happy birthday to Isaac! No problem Jason. It truly does put priorities into perspective. What a heartbreaking story about your Issac and it truly moved me to tears. Thank you for sharing such a personal experience and what it taught you. Time remains still for no one. We really must cherish the opportunities to spend time with our loved ones and live our life according to our priorities and principles. Not a problem! I agree that it does cause us to cherish the moments we have with loved ones. I’m so sorry Isaac couldn’t be here longer. I’m so sorry your family had to go through this. I wish there was something I could say that would be of comfort. How beautiful with the dolphins. Thank you for sharing your story and reminding us all of how precious our time is. I know it couldn’t have been easy to write. Thanks. It was not easy to write, but once I did it all flowed out within about five minutes. The dolphins were beautiful, it was the perfect ending to a memorable day. Oh gosh there are no words…that must have been so hard. What a beautiful tribute that your friend did! Thank you for sharing your story! Not a problem. 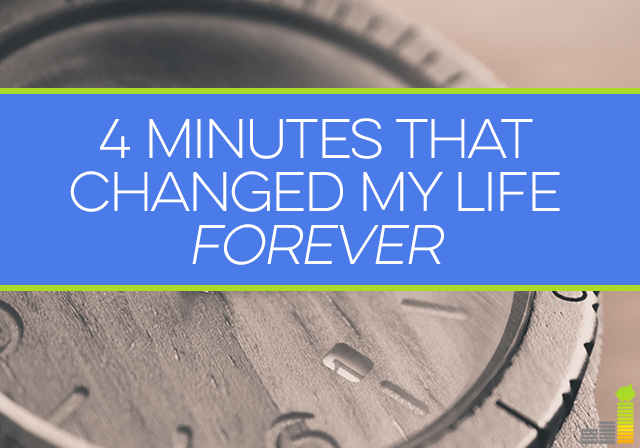 It was difficult, to say the least, but its taught us to be thankful for the time we do have. Jesus, this is just terrible. I”ve never even heard of trisomy 18. Man, I’m sorry, really sorry. It’s great you have one healthy child, but to lose yoru second. I can’t even imagine. I’m really sorry. Every moment is precious, without a doubt. I had not either TB. It does show us that life is truly precious. It also makes it more thankful for the three healthy children we do have. I’m so sorry for your loss, but it sounds like Isaac was so lucky to have you both for parents while he was here, and to keep his memory alive. Thank you for sharing such a personal story. Thank you Mrs. Pop. It was my pleasure, it’s a good lesson in what’s truly important in life. John, my husband and I also had a beloved son named Isaac, lost to Trisomy 18 at 11 days old in 2001. Thank you for writing such a beautiful post about a father’s love for a dear baby son. Sorry to hear of your loss Victoria. I am imagining that there was less known about Trisomy 18 when you had your dear Isaac. Thankfully to the great work of organizations like yourself we had a greater peace of what we were walking into. Thank you so much for all that you do. I am so sorry. What a sad and moving post. It brought tears to my eyes. Thank you for sharing it. Not a problem Paula. It opens our eyes to what’s truly important in life. What a lovely and moving story. How difficult that must have been for your family, but also, what strength you seem to have pulled from it. Back when I was in my 20s, two of my best friends lost their mothers the exact same week (my great grandmother also died that week). While my experience of that cannot compare to your experience, it did serve as a great lesson to me to hold close the people you love and that the most important things in life never have $ attached to them. Thank you. It was, but you’re right in that it brought us strength and it brought us incrediblely close. Wow, that is a rough week! When you lose loved ones, it does really show you the preciousness of life and what your priorities really should be. Very VERY sorry for your loss! I can’t even begin to imagine how difficult that was! I do understand that it is something you will never forget. Money is low on my list of priorities. My husband and our health are high. You mention the point about our time being limited. I find that as I get older I seem to live my life as if I won’t be around for long. Perhaps that is why I have a hard time planning long term things or even saving for retirement. It is a weird feeling and hard to describe. My father is 83 and I often wonder if I will live that long. Thanks Sicorra. I feel the same way in regards to my wife and family. Money can come and go, but they’re what’s important. I feel the same way as I get older. I can relate a bit. Each time I see my parents I wonder if it’ll be my last time to see them. John, I am truly sorry for your ordeal. No parent should have to go through the loss of a child. I could not agree with you more that while money does allow us to enjoy security, there is nothing more important than spending time with those you love. Thanks Justin. Great point, my thoughts exactly. i just burst into tears upon reading this, john.. your writing really did an amazing job of reflecting the emotions that you and your wife were feeling on that day.. Thanks Jefferson. I thought it wuld be a difficult post to write, and it was on some level, but the writing just flowed for me. My thoughts and prayers are with you all. I also had those few minutes that changed my life with the birth of our first little angel; a girl (Regina Marie). Through all the tears there was lessons to be learned and so much growth in the respect for life, love, time and especially for the fragil lives we have. We learn to cherish every moment that we have. God bless. Thank you Sharon. I am sorry to hear of your daughter, Regina. I could not agree more in relation to many of your thoughts. Life truly is precious. Oh man, that was difficult to watch. I don’t really have anything else to add to everyone’s comments above, save to say “God Bless you and your family”. WOW…I have five children…this was very touching. This is an amazing video. Thank you so much for sharing. Thanks Bernadette, it’s my pleasure. Goodness gracious, this was beautiful and moving, and my heart goes out to you. You’re so right, time is so, so precious. Thanks so much Kathleen. I completely agree, time is very precious. John, I can only imagine what you went through with this. I am expecting my first child in a month, a son. It is always scary to think what could happen or when. This was a moving post and I am happy that you were able to share it with us. The memories are what keep us whole. Congrats Grayson! That’s awesome. It can be scary, but there’s nothing in this world like seeing your child be born. It’s second to none. I’m so sorry to hear this. All my sympathies go out to you and your wife. What a lesson in perspective. What a beautiful post. Thank you for sharing. You have a beautiful family. We are blessed with two beautiful daughters – I thank God for them every day. My last two pregnancies ended in miscarriage. I remember my devastation – you have my deepest sympathy for your loss. Thank you so much Nikki. I am so sorry about your loss as well, the loss of a child is always the most devastating in my opinion. It does teach you to be thankful for the healthy children God has blessed you with. John, I am so sorry for your loss. I can’t imagine what that must have been like. I am not yet a parent so I cannot empathize with what you went though. I think the video is absolutely amazing and such a great tribute to your son. He deserved it. I am very grateful for the family that I have and I know I will be just as grateful for my future children. Thank you Miss T. To say it was difficult would not do it justice. We are thankful for things like the video that we can have to help us remember him by. John thanks for sharing this story. Reading this at work tears rolled down my cheeks as I could see myself in your shoes….we have 2 litle girls that mean the world to me and i cant imagine how you felt going home without him….very important point that you make is to cherish the time we have here because we can never get it back…thanks for sharing this moving story! Not a problem Christopher. That was probably the worst feeling ever, not being able to take him home with us. It taught us beyond a doubt to cherish the time we have with those that you love. I know what it feels like to go home empty handed. We had almost the same experience as you in 2004, only our son had died 2 days before he was born. We were blessed to have 2 healthy daughters before we lost our son. Later the Lord has blessed us with 5 more children, a total of 7 living children, bless the Lord. Yes, we went through a dark valley for a time, but the Lord was with us even when we didn’t know why they had to happen to us. Thanks for sharing. I am so sorry to hear that Jessie, but am thankful that you’ve been blessed with five additional children. We’ve had two more ourselves, but Isaac is still very much a part of our family that we talk about regularly. I am still crying my eyeballs out. You and your famly are so brave. I love what you’ve done to honor Isaac’s memory. So brave. I am sorry for your loss. I can’t imagine what your family went through. You are an amazing writer. Thank you for the reminder and the lesson. I hope in sharing this story your days pass a little bit easier. Take care and my thoughts are with you. Thanks for the kind words Buck. When you feel so strongly about something, the words do tend to just flow out. No problem either. Many of us, myself included, too often give too much focus to money and lose sight that time is even more important. Have a great rest of the weekend! Hi, I read this and thought back to my second pregnancy. Like you my first was uneventful and I thought that was the way all pregnancies would be. With my 2nd pregnancy, I was unhappy about the timing (would interfere with vacation plans etc) and then I had a miscarriage. 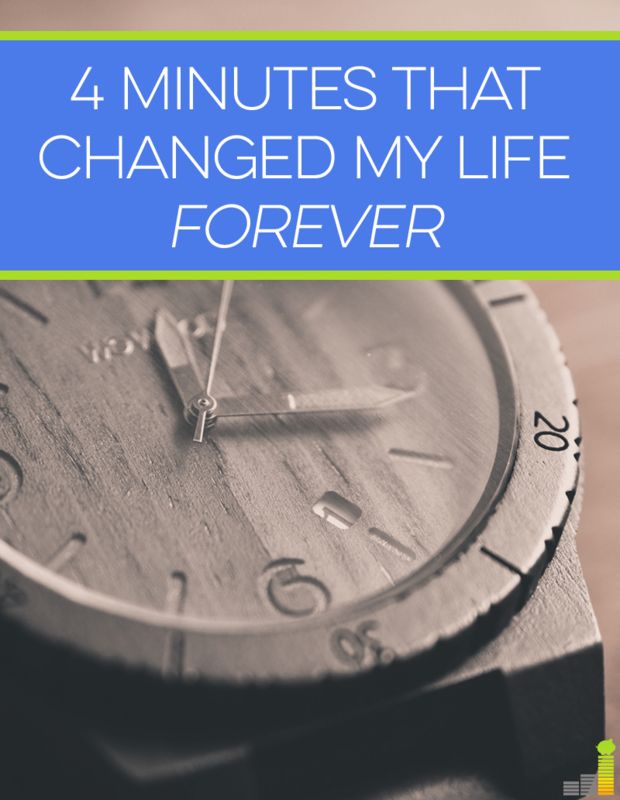 It was a very early miscarriage yet it rocked my world. I have since heard stories similar to yours and each time I am reminded of how blessed we truly are. We since have a 2nd child and his birth was different from the first in that it was so fast I didn’t even have a chance to think. I really wish it were possible to hug every person who went to all the baby classes or had a simple first birth and then had to experience something like you did. It must be the loneliest feeling in the world. Sorry to read of your loss Susan. I can say, beyond a shadow of a doubt that this was the toughest thing we’ve ever been through. It truly does help you realize the preciousness of life and how truly you are to have healthy children. Thanks for stopping by! John, I had tears in my eyes while reading this. A very moving experience. Sorry to comment on the post which was published some time back but could not stop without saying something after reading this. Thank you so much Rohit…and no worries on commenting even now. It’s just another reminder of our dear son. I encourage you to come back on Monday as my wife will be sharing about what she experienced through our loss. So sorry you had to write this post John. I agree with you completely, money is a necessity and a safety net but compared to other things in life it’s way down the list. That it is Adam. I learned a very valuable lesson throughout all of it…that time is the most precious asset we have. I’m going to be honest, I wasn’t sure if I could read this after reading your wife’s beautiful post to Isaac yesterday. I cried even harder and the memorial video was so beautiful. The world seems to revolve around money, but in the end – we know it doesn’t. It revolves around love. Isaac may have only been here for 4 minutes but they were 4 minutes of pure love. You and your wife are amazing parents and thank you for sharing such a personal journey and reminding us all what truly matters. Thank you for your kind words Shannon. I have to admit that I can’t read my post or watch the video without becoming a blubbering mess. Money is great, I love making more of it, I’d like to think I know a thing or two about it….but at the end of the day it is a VERY distant second to time and spending that with those that you love. Time is about the only commodity you can’t get more of and, because of that, I have learned to appreciate it much more. Tears ran down my cheeks as I read. I am sorry for your loss. I had one miscarriage and dealt with the feelings of loss for awhile. Since getting divorced and not getting to be with my children everyday I have realized how limited time is. I miss like crazy when they are away and soak them up when they are with me. Thank you Alexa. I am sorry to hear of your loss as well. Yes, time is indeed very precious and limited. John, I’m speechless. What a moving and emotional post. Thank you for putting things in perspective, something we all need now and again. Thanks so much Jacob. Things like this really does put life into perspective like nothing else. What an amazing post. I’m trying to hold back tears while watching the video (because I’m on break at work). The fact that you can still praise our sovereign God after what you went through is so encouraging. You know that you will be reunited with Isaac once again (just as David said about his son), and we can praise God for being so faithful to us! Thanks so much for your encouraging words Khaleef. That is my (really our – including my wife) hope. The peace/hope we have does not come from ourselves and immensely thankful for the grace shown to us. I happened to stumble across your article tonight – ironically enough, I am at 20 weeks today. My husband and I found out just a few hours ago that we’re having a little girl, and she is healthy. I am so sorry to hear about the loss of your son. Thank you for the reminder of how precious life and time is. Thank you for sharing your story. When I was in utero, my mom had an amnio done as well. The results were the same as your little Isaac. The doctor said that I had Trisomy 18 and they encouraged my mother to have an abortion. My mother chose not to abort and to let nature run its course. I was born with numerous medical problems and although they have tried to find the Trisomy chromosome again, they have been unsuccessful. There is a question as to whether or not the original amnio was incorrect or if I just have a very very VERY mild case (which is unheard of). I have spent many years, and will continue to spend the rest of my life, at specialists and under going procedures/surgeries because being healthy is something I have to work for. I now am a public health nurse who works with kids which chronic illnesses. I am so sorry to hear about your baby and I can’t imagine how bittersweet it must be to celebrate what would have been his birthday. Please don’t feel the need to apologize Renee – I’m so glad it was the incorrect amnio – or the other (which I haven’t heard of either). While I don’t know what it’s like to have such an illness, I’m confident you’ve had a major and positive impact on those you serve – thanks for your service to those who are in need. JOHN – I stumbled on this story thru a link to a financial article on the web. I am awestruck at the raw emotions and boundless love I see in you and your family. I’ve bookmarked the video of Isaac and will return to it many times as it is so beautiful I know I will want to watch it again. Though I personally do not believe in a God I believe in the goodness of man, and I believe you, John, are as good as they come. Thanks for being and sharing. Thanks for your kind words Joanne – they’re much appreciated. Just found your blog and came across your video of Isacc.. This is probably one of the most beautiful tributes I have ever seen .. Reinforced time is precious and God given …. And yes as small as his footprint was Isacc has left a giant impression… Thanks for sharing him with us! Thanks for stopping by Teresa, I appreciate it. Yes, time is definitely precious and a gift from God. As it just so happens, it was 7 years ago today we found out about our little Isaac’s condition…another reminder of the impression he has left. John, I just watched your video of Isaac’s life. He is a gift from God. We may never understand the sufferings we need to endure here on earth. I cannot imagine the pain even now years later of such incredible loss. However, we know that Isaac is in heaven with Jesus and that you will see him again someday and there is great hope and redemption in that. This video reminds me of what is important. Thank you for sharing and God bless. Thanks so much for your kind words Nancy, you’re exactly right on many levels.